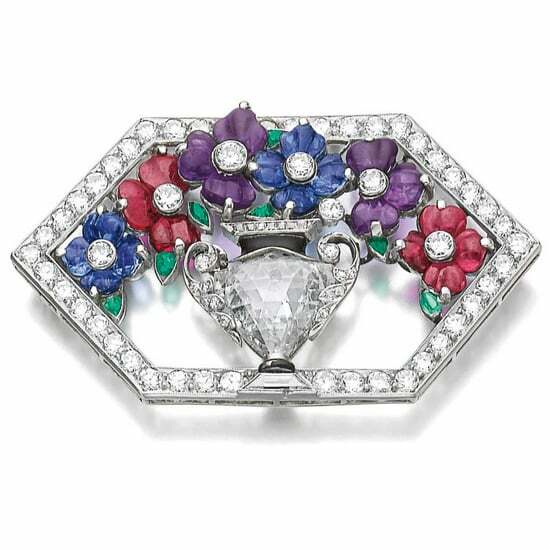 A gardinetto or giardinetto/giardinetti (Italian) is an ornament in the form of a vase of flowers or a flower basket, especially suited for brooches but sometimes rings and pendants. 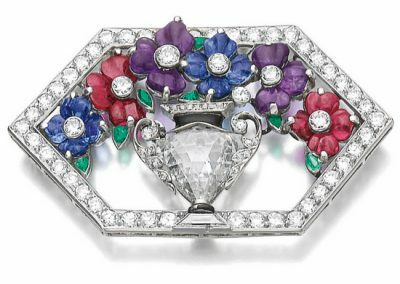 The colorful items were created from a multicolored array of gemstones such as rubies, emeralds, and sapphires which were often calibrated. Initially enjoying popularity c. 1740-1780 these colorful floral gemstone depictions were love tokens to be exchanged with lovers and friends. A resurgence in popularity occurred c.1920.